Being away but feeling home. 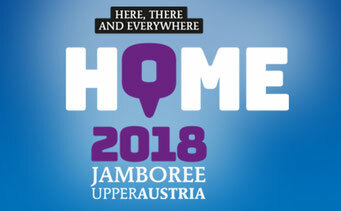 That's the spirit of the 14th International Scout & Guide Jamboree, HOME 2018, organised by the Upper Austrian Scouts with guests from all over the world from 6th to 15th August 2018. Uniting around 4.000 participants it will be the biggest multi-day youth-event in central europe in 2018. 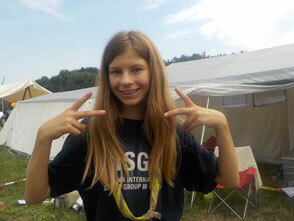 On the 6th of August on monday, scout group 88 - VISG and their partnergroup, group 22 - Löwe Von Aspern left to go on a wholesome ten day trip to Eggenberg, for the national HOME 2018 jamboree. The trip from Vienna to Eggenberg lasted about three - four hours. When we arrived, everybody was astonished of the amount of people, and tents we could see. We knew, that it would be over 4,000 people, but we had never expected this! After we had gotten our bags, we walked over to a station that would be giving us our place number, where we would be able to set our tents. We had some food, and then we got to work. First, we started off by building the leader’s tent. It was a pretty big tent, with four smaller ones to fit inside it. After building the leaders tent, we had something to drink, and the work started again. We started to build the tents for the children. There were two tents to build, one for the girls, and one for the boys. There were five boys, and two girls, so you could say that the girls were really lucky. After both of the tents were built, everybody had about half an hour to an hour to settle in. Next, was lunch. After lunch, we had free time until dinner. Then, after dinner we had some more free time, until we had to go to bed. The next day, was when the real work begun. We had to set up a food station. We started off by going in pares to go get wood. The wood was really heavy, as it wasn’t cut, and it was basically the size of a real tree. We also had to carry planks, and bricks. When all of the materials were collected, everyone was exhausted from all of the carrying, but the leaders told us not to give up. We started building up the food station, with the help of the leaders, of course. We also build a fireplace, out of mud from the river, and the bricks. When the food station was done, we all got to have some lunch, and next was the same procedure as yesterday evening. On wednesday, we had our first activity day, basically we went around different activity stations for the day with our patrol. The next day we had a free day, this meant that we were able to anything we wanted to do with our patrol or alone. On other days we had more action stations, and on one day we had workshops. One evening, we had the night of open pots which meant that we could go around the RaRo ( rangers and rovers ) area and taste food from their countries. Some of these countries included Great Britain, Finland, and Canada. We tried all different kinds of exclusive foods. On the next days there were concerts, eco home challenges, volleyball tournaments and much more activities. Coming to the last day of the camp before the day we left, day 9, we had a big closing ceremony. They played us music, they showed us pictures and highlights of the camp, and spoke about the camp. After that, we had a campfire with marshmallows. The day we were leaving we had to put down the rest of the cooking station, bring back the wood and prepare for the “takeoff”. We packed the rest of our things, and headed to our real home! We were all excited to see our parents after a long journey. HOME 2018 jamboree will always be remembered!